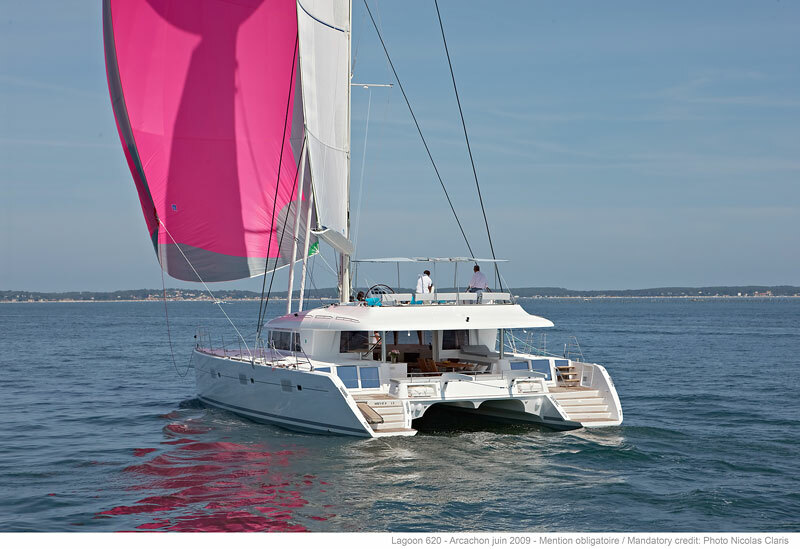 Luxury sailing catamaran GO FREE is a 18,89 meters (62 Feet) state-of-the-art Lagoon 620 charter yacht designed by the French VPLP design team. 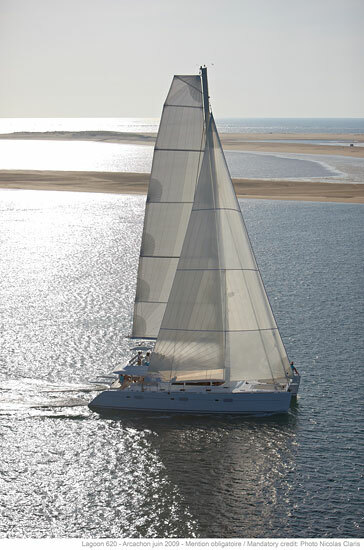 Launched in 2012, the GO FREE catamaran was built with the utmost of attention to detail and guests’ comfort in mind. 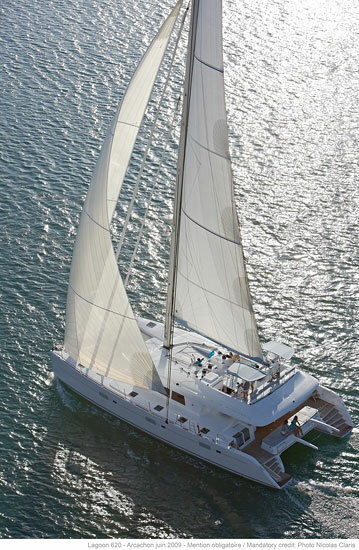 Cat GO FREE is a charter-friendly yacht ideal for families and groups of friends. 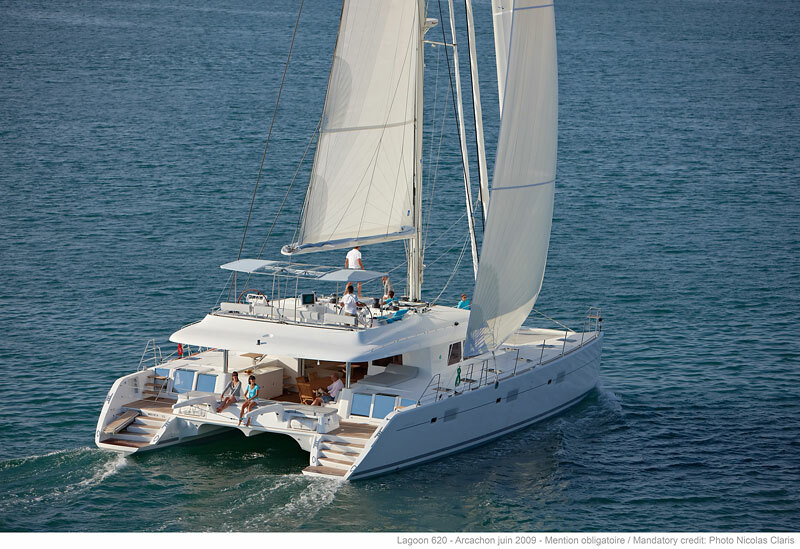 Charter guests enter Lagoon 620 catamaran GO FREE through a sprawling aft deck that features a comfortable alfresco dining area and an expansive sun cushion for lounging around. The stained-glass sliding door opens up to a bright and airy interior surrounded by wrap-around windows. The light décor features blond paneling, furnishings and flooring as well as leather ivory upholstery with coffee tables that conveniently transform into a full-size dining table for 6 charter guests. Yacht GO FREE’s interior boasts delicate colors and just the right amount of accessories including soft earth-toned cushions, off white flower vases and small decorative baskets that make an atmosphere that is calming yet sharp in its styling and design. GO FREE’s galley is light with a couple of large windows and a separate entrance. The galley is equipped with the latest appliances, and the meals prepared by the chef on luxury charter catamaran GO FREE are a true delight. 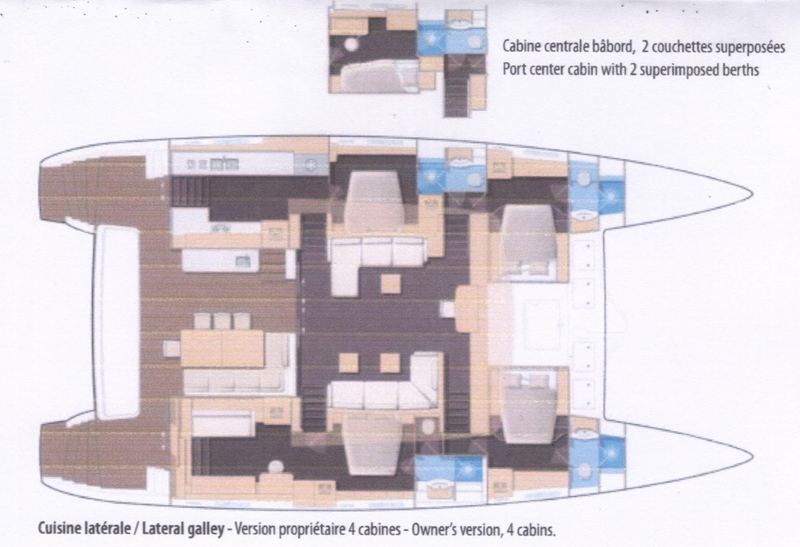 From the main saloon, guests step down to 3 ensuite cabins which comfortably accommodates up to 6 charter guests. The cabins offer all the privacy needed for afternoon siestas when the temperatures heat up in the noon sun. All cabins are beautifully appointed with fine bed linens, occasional pops of color on additional cushions as well as tasteful nautical artwork. The cabins onboard the GO FREE charter yacht also boast plenty of extra built-in storage and natural light that penetrates through the portholes as well as direct deck access. 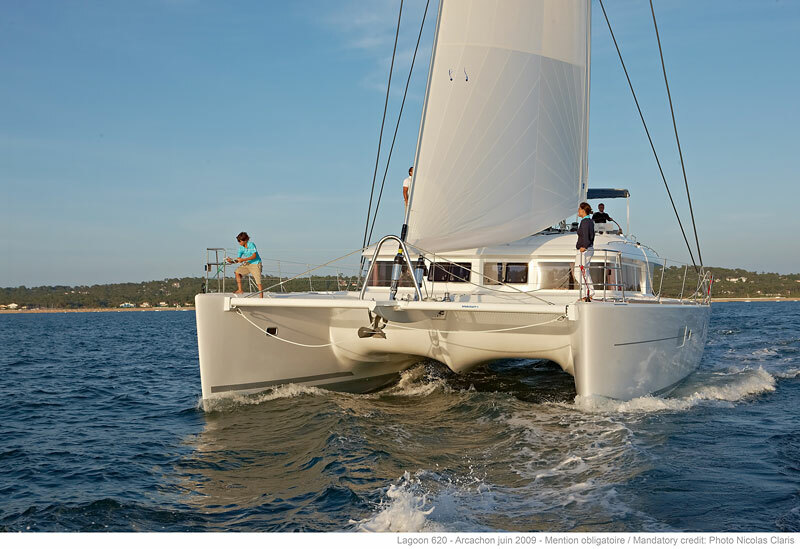 The luxury charter sailing catamaran GO FREE boasts generous exterior deck spaces that are sure to win the hearts of the all yacht enthusiasts. The voluminous flybridge with exterior helm is a favourite spot for unwinding in the sun and absorbing remarkable vistas. 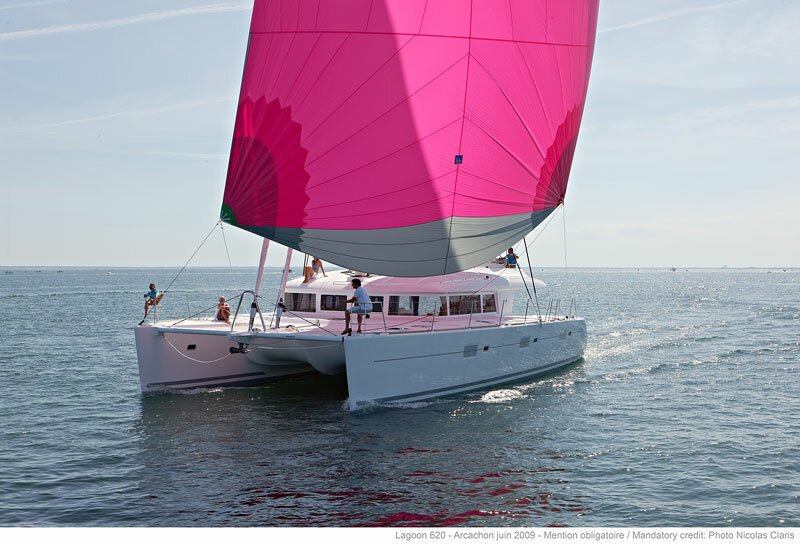 Luxury catamaran GO FREE also has a vast selection of water sport toys and activities to enjoy including two tenders, fishing and snorkelling equipment as well as full diving gear. 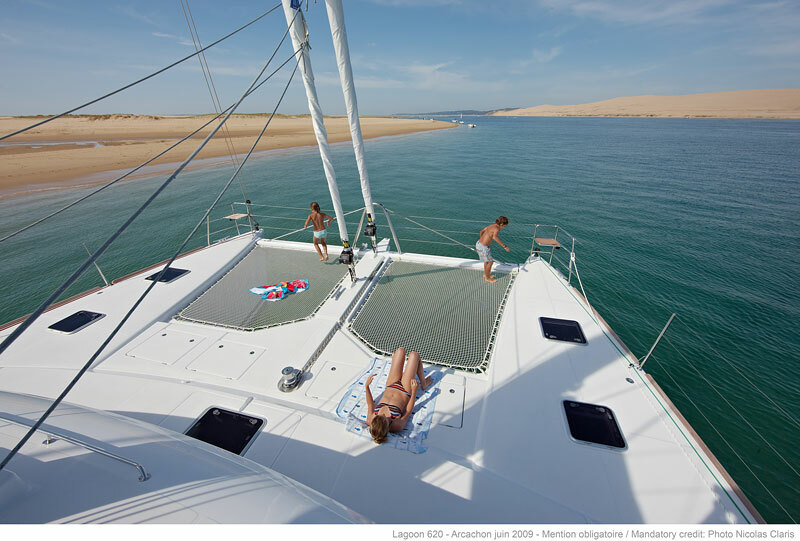 With such an excellent selection, guests of all ages aboard luxury catamaran GO FREE are kept busy. 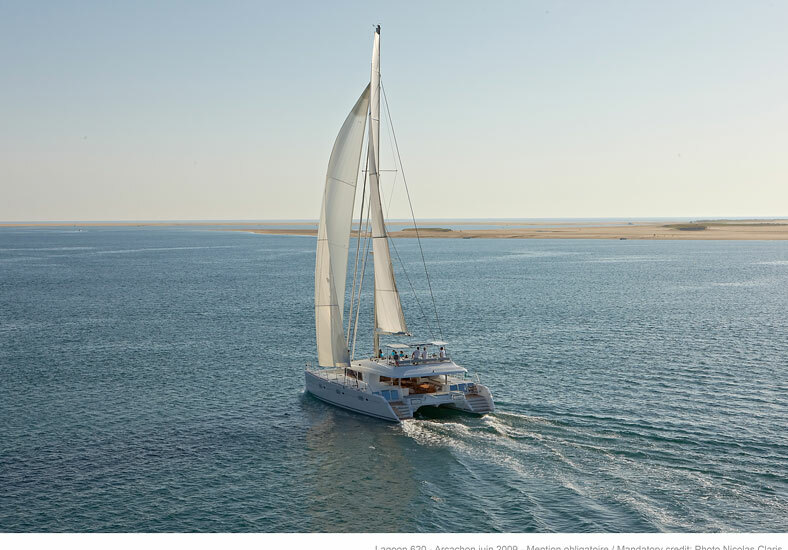 The GO FREE catamaran features top-notch interior navigation station and a professional crew of 2, ready to pamper you and your guests. 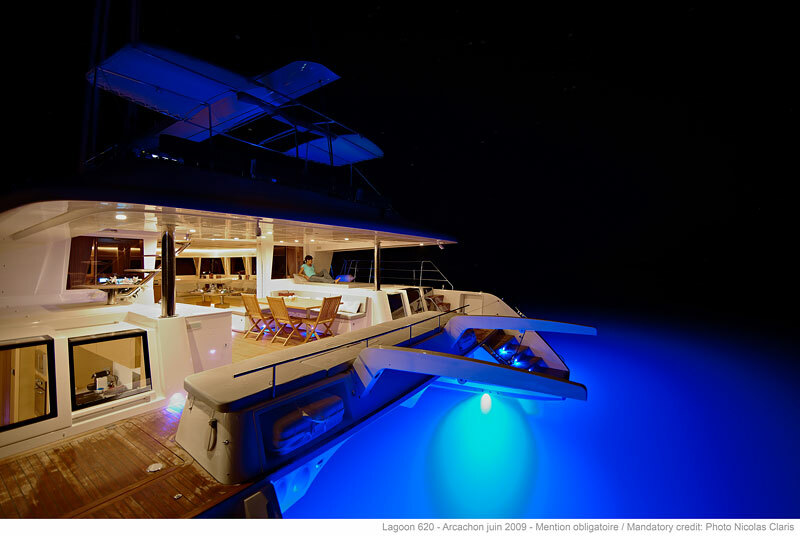 The 2012 Lagoon 620 cat GO FREE is able to accommodate up to 6 charter guests in 3 double ensuite cabins. All cabins are beautifully appointed with fine bed linens, occasional pops of color on additional cushions as well as tasteful nautical artwork. The cabins onboard the GO FREE charter yacht also boast plenty of extra built-in storage and natural light that penetrates through the portholes as well as direct deck access.